Everyone around me seems to be announcing their pregnancies or giving birth, It's impossible not to be broody especially when my sister in-law has just given birth to a gorgeous little girl! and it's been no different for me & the girls are no exception, Every other day Issy & Daisie ask me can they have a brother they even have a name for him, why don't I have another everyone else has 3 kids and the excitement from them when I'm bloated after a meal is just soo cute! Daisie is turning 3 in July and will be starting nursery in September. 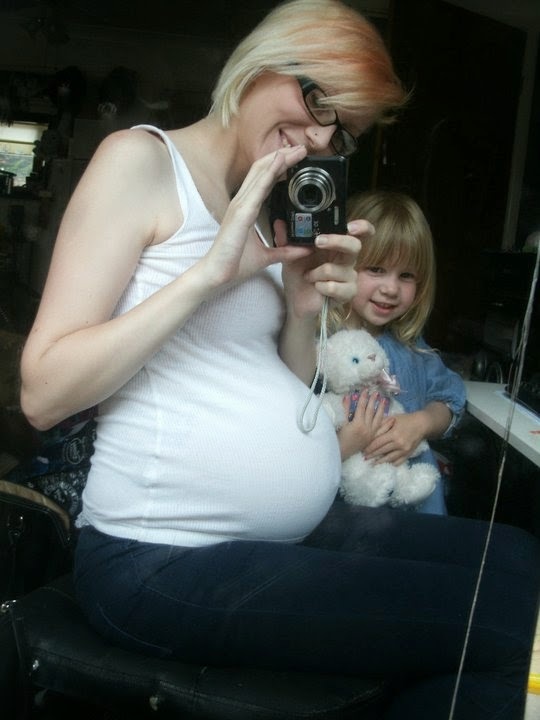 We started trying for Daisie when Issy was in nursery and I fell pregnant quite quickly and that was the plan for number #3 when Daisie started nursery too. So we can enjoy some days out with the girls and maybe a holiday or two. When the girls and baby are of an age to be left alone I'll still be of an age to be able to live the life I didn't have in my younger days, I'm not talking clubbing maybe a girly weekend away or something! Without the guilt and worry of leaving the kids behind like I have now. They would all be of an age were they would be practically begging me to leave them alone just for a night or two. Where as If I put off having another for a few more years there will always be a baby to stop me from enjoying some time away, I have always said I don't want any more once I hit 3O to the point I've considered being sterilized at 3O (I know there's no way my broodiness would allow that) but I'm still set on having 4 children so unless I have twins that little plan I've always had will be going out of the window. I don't believe their ever is a perfect time to have children, When you feel ready is the most perfect time you'll ever get.